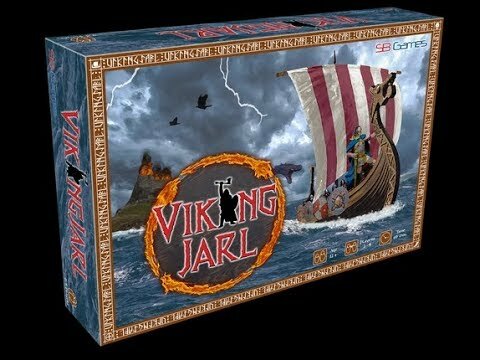 Vikingjarl is a fun and exciting strategic board game about Vikings and Norse mythology from the Viking age set in the time period of 793-1066 AD. As a player, you begin the game as one of four Jarls (Jarl (Earl) “free person of noble family and high birth”), with the goal of becoming the next Ruler of Kaupang, ensuring power and prestige for you and your descendants. You accomplish this by pillaging, trading, establishing settlements, fighting, and outmaneuvering the other Jarls. Through strategic card play and dice rolls, the Jarls battle each other across the game board. You must make strategic decisions and carefully manage your resources in order to have the best chance to win. 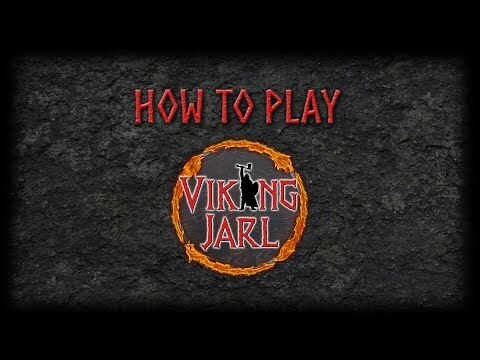 If you play well and receive some favor from the gods, perhaps you will become the next Vikingjarl! The game is turn-based and the Jarls each take turns moving their Ship and Army around the game board using Pawns, Dice, and Playing Cards. To obtain the Victory Points (VP) needed to win the game, you have to pillage, trade, settle and fight against the other Jarls. The main goal of the game is to reach a certain number of VP. The game is designed for 2-4 players, and is suitable for everybody form age 12 and up. An average round will take about 60 minutes. Includes over 260 playing pieces and cards. Storyline: It is the age of Conquering, Pillage, and Trade. Ragnar Ironhand, the King of Kaupang grows old and is looking for his most suitable successor. Ragnar gathers his four children and challenges them to leave Kaupang in search of fame and fortune in foreign lands. Whoever returns home as the most prosperous sibling, will lay claim to the throne. Gather your Viking warriors and set sail, but beware the whims of the fickle Norse gods as well as of your backstabbing and ambitious siblings, who are all vying to claim the throne for themselves.